It was a World Class Kickoff at Hopkins Public Schools this week! We welcomed nearly 6,700 students into classrooms across the District Sept. 4 and 5 as we began the 2018-19 school year. A little rain on the first day of school for grades 1-7 and 10 couldn’t dampen the excitement for the start of a new school year. Principals held open doors, walked students to classes, and hosted kindergarten open houses. Junior high staff and mentors greeted incoming seventh graders with smiles and high energy, while incoming tenth graders were welcomed with a performance by the Hopkins pep band, Lean Mean Performance Machine (LMPM). The following day was the first day of school for kindergarten and grades 8, 9, 11, and 12. Students at the high school enjoyed a back-to-school cookout complete with burgers on the grill. 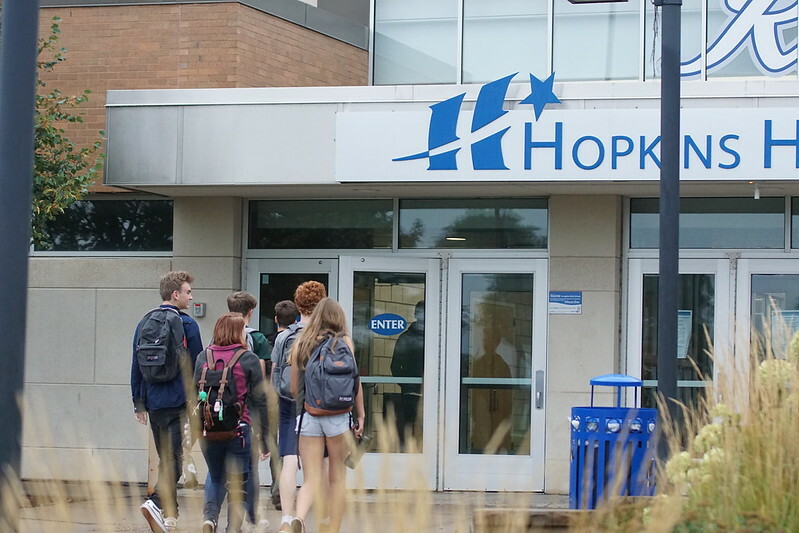 With our collective goal of moving Hopkins from Great to World Class, we look forward to working together with you — our families and community. Have a great year everyone!